The New Jersey Solid Waste Management Act @ N.J.S.A. 13:1E-20 requires that each County Board of Chosen Freeholders constitute a solid waste advisory council (SWAC). The SWAC shall include municipal mayors or their designees, persons engaged in collection or disposal of solid waste, and environmentalists. The Freeholders shall consult with the solid waste advisory council in the development and formulation of the district solid waste management plan. Advise the Board on all matters related to the further development and implementation of the County Solid Waste Management Plan and Programs. 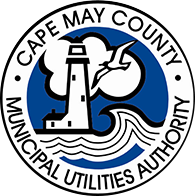 Advise and assist the CMCMUA Solid Waste Program Manager in the preparation, evaluation, modification and development of the County Solid Waste Management Plan and Programs. Promote communication, coordination and cooperation between and among municipal solid waste management agencies, the private solid waste management industry, solid waste related agencies of the State and Federal governments, the CMCMUA, and the general public in the further development and conduct of the County Solid Waste Management Program. Carry out such other duties and functions pertaining to the County Solid Waste Management Program as may be requested by the Board. SWAC consists of members appointed by the Board of Chosen Freeholders, comprised of representatives from all sixteen (16) municipalities within the County of Cape May: persons engaged in solid waste collection or disposal, and persons engaged in environmental activities; ex-official members include the County Clerk of the Board, the County Planning Director, representatives of the State Department of Environmental Protection, and a designee of the Cape May County municipal Utilities Authority. SWAC currently meets four times per year on the second Wednesday of January, April, September and December. Special meetings may be scheduled from time to time. Meetings are held at the CMCMUA Administration Office and begin at 9:30 a.m. If you plan to attend, please call ahead as meetings may be cancelled. Last Modified Feb. 27, 2019, 3:02 p.m.